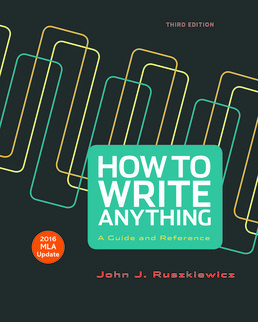 With targeted writing advice for a range of common academic and real-world genres, How to Write Anything, with 2016 MLA Update emphasizes the critical reading and writing skills essential to academic success. MEMOIR/REFLECTION: Miles Pequeno, Check. Mate? 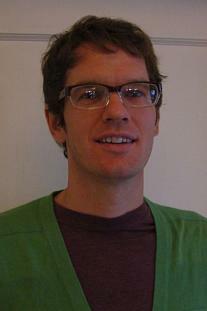 *VISUAL ARGUMENT: Matt Bors, Can We Stop Worrying about Millenials Yet? *RESEARCH STUDY: Alysha Behn, Where Have All the Women Gone? Lauren Chiu, Time to Adapt? *Genre Moves: ARGUMENTATIVE SPEECH (EXCERPT): Sojourner Truth, from Ain’t I a Woman? *Genre Moves: DESCRIPTIVE REPORT (EXCERPT): James Baldwin, from If Black English Isn’t a Language, Then Tell Me, What Is? 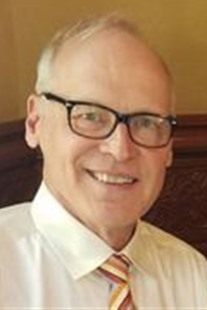 *PROPOSAL FOR CHANGE: Michael Todd, Is That Plastic in Your Trash a Hazard? *TEXTUAL ANALYSIS: Zadie Smith, Their Eyes Were Watching God: What Does Soulful Mean? DISCOURSE ANALYSIS: Deborah Tannen, Oh, Mom. Oh, Honey. : Why Do You Have to Say That?